This album is inspired by Manuela Draeger’s book Herbes et Golems, published by Editions de l’Olivier. Manuela Draeger is a post-exotic author. Postexoticism is a French literary movement led by Antoine Volodine. This is the following of the first album from Denis Frajerman called Les Suites Volodine (Noise Museum / Naïve, 1998). 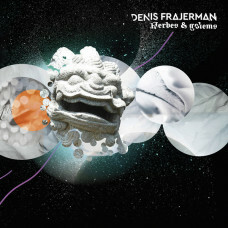 It is always a pleasure to learn the release of a new album by Denis Frajerman, because it is the safety of being projected into a Siberian steppe imaginary, closer to the plant element, where the beauty Abundant hides no less in trompe l'oeil a danger of impending death. 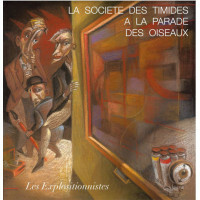 The pleasure is all the greater with Herbes & Golems that the original idea that animated him is to constitute a sequel to his first solo album Les Suites Volodine, the same one that we had for the first time projected in post-exotic world of Antoine Volodine. At the time, it provoked in return for us the discovery of this magnificent author of the post-apocalyptic totalitarianism, from his first writings in the science-fiction collection "Presence of the future" to the minor angels (editions of L'Olivier, 2001 ) in particular. Denis Frajerman draws twenty years later, from Herbes et golems (editions of L'Olivier, 2015) by Manuela Draeger (one of the many heteronyms of Antoine Volodine). 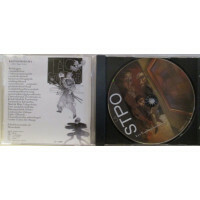 Thus, we find elements that Denis Frajerman never really left out: trance rhythms, rustles, screams and songs of animals and birds, some other atmospheres borrowed from the infinite palette provided by nature, here the threat of a wolf, there a stormy shower making the thunder god speak, or else the skill of gently disturbing melodies. The whole is served by a poly-instrumentalist playing with the technical limits, because Denis Frajerman acts alone on this disc, as at the time of the Volodin Suites. There is of course something shamanic in Herbes & Golems, the music opens an intriguing point of passage to the other world, that of the spirits.